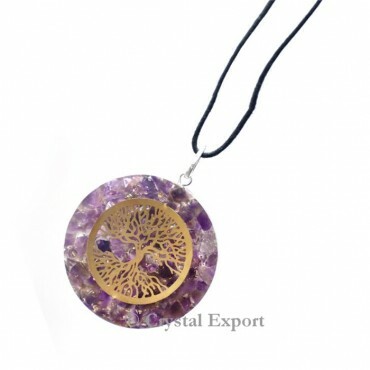 Crystal Export offer the huge collection of Tree of life with Amethyst Orgonite Pendants. Amethyst orgonite is used for inner strength growths. Tree of life is giving the best healing pendant. This is amazing pendant is available in wholesale price at Crystal Export. Place the order as soon as possible.